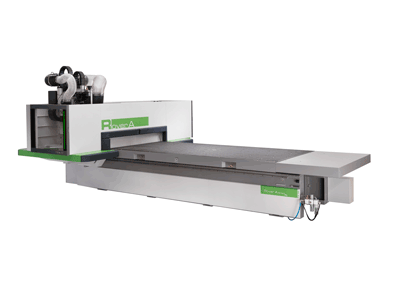 Rover B is the machining centre designed for both skilled craftsmen and largescale industry. 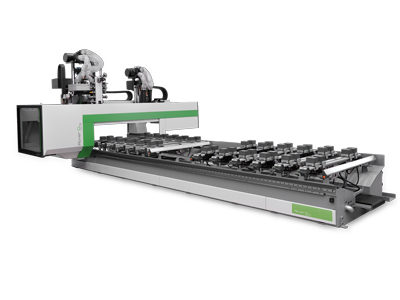 Configurable and high-performance, it ensures a quality finish and is reliable under all working conditions. For an accessible investment, Rover B boasts technologies which are unique to the market. 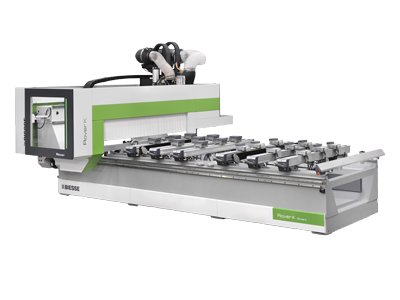 2 Y-axes for maximum productivity in all machining operations. 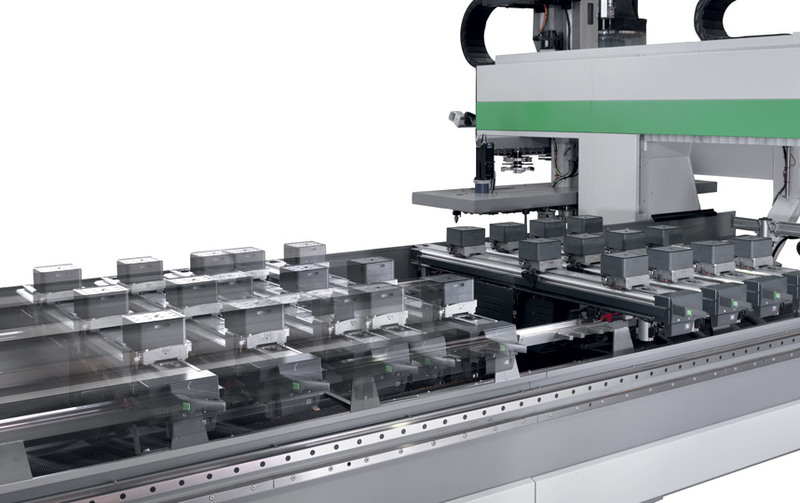 It is possible to machine two panels at the same time, and to change the tool while the machine is still running, ensuring that there is always a tool working on the product. 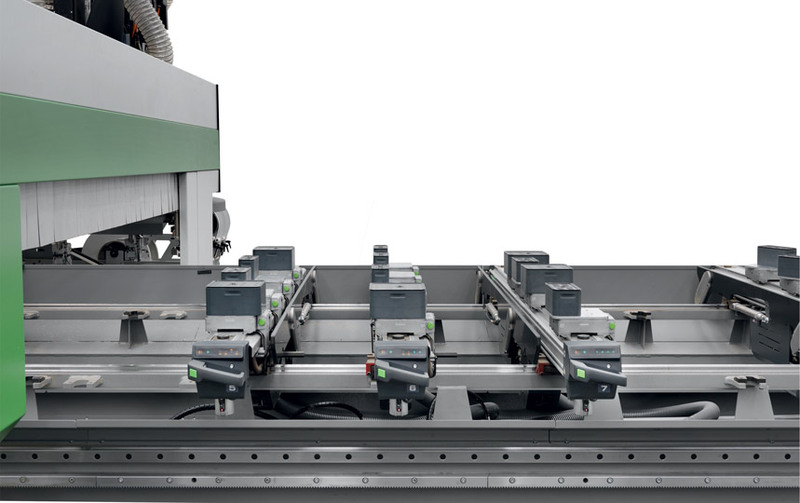 The 5-axis operating section, equipped with 13 kW HSD spindle and with 360° continuous rotation on the vertical and horizontal axes, enables the machining of complex-shaped pieces ensuring quality, precision and absolute reliability over time. 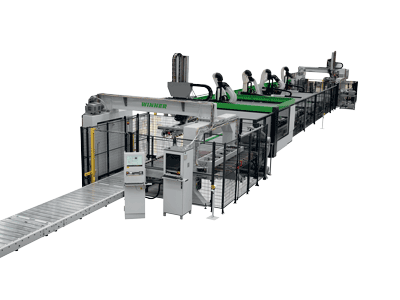 The Gantry structure has been designed to improve the precision and reliability of machining operations. 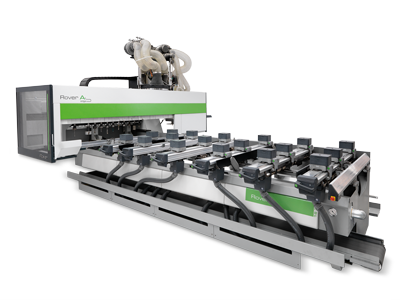 Rigidity and absence of vibration ensures constant and reliable quality of the finished product. 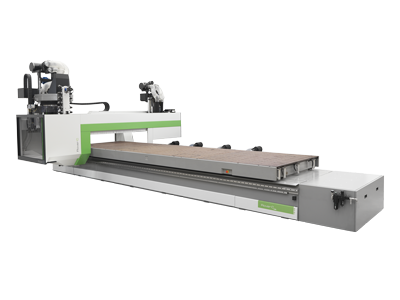 The rigid structure of the machine and the width of the Y axis allows users to machine panel widths of up to 2230 mm with all available tools. 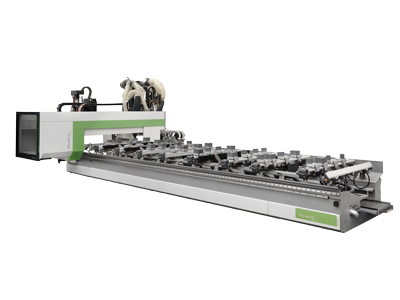 Choose from a comprehensive range of bed sizes to facilitate the machining of all panel sizes. 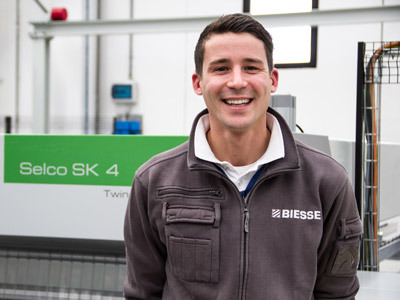 The Biesse work table is guaranteed to hold the work piece securely and ensures quick and easy changeover of pod and clamps. 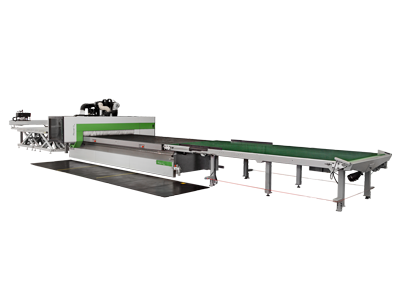 The machine can house up to 91 aggregates and tools. The Biesse work table is guaranteed to hold the work piece securely and ensures quick and easy changeover of pod and clamps. 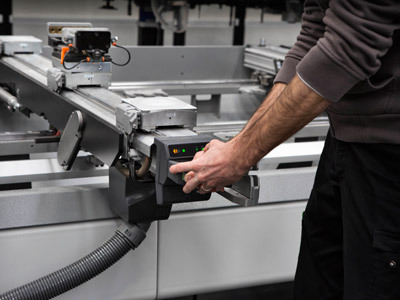 The assisted set-up system, indicates to the operator where to position the panel, pods and rails to avoid potential collisions with the tool. 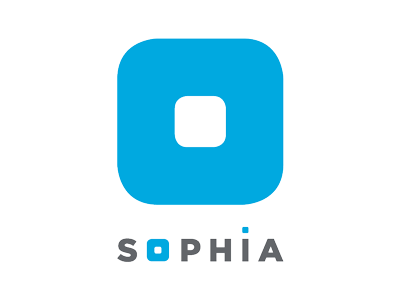 Allows for rapid automatic re-configuration of the entire work area. Positions work tables and pods by means of separate motors, i.e. without engaging the operating section. 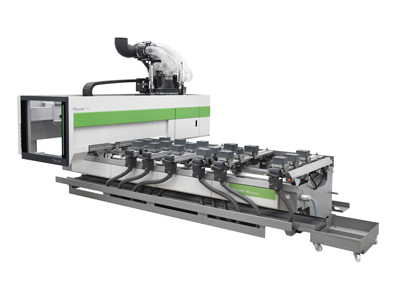 The positioning of the pod and rail is performed during machining, whilst the machine is working on the opposite area. bSolid designs, simulates and realizes. 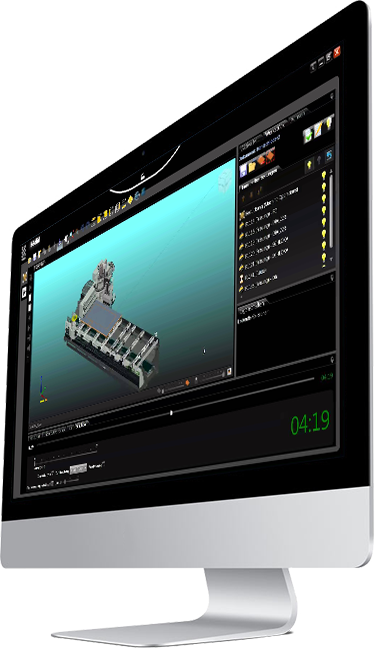 3d bSolid allows, with a single platform, to perform all types of processing. 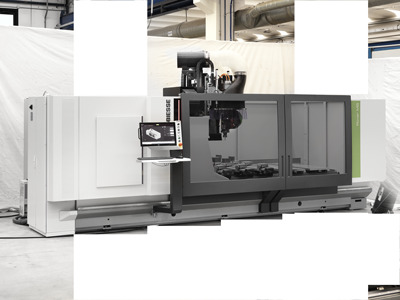 A simple, userfriendly 5-axis NC processing centre for producing any type of furnishing item.